I investigate slavery and post-abolition race relations in Brazil, Cuba, and the USA, with a special focus on the connections between environment, labor, and identity. I am also interested in comparative study of slavery throughout the Americas; in oral history and social memory; in the present-day political movements of black peasants across the Americas; and in the comparative analysis of race relations in Latin America and the U.S. I have co-edited a special issue of Spain’s Boletín Americanista on post-emancipation societies, and another one at Ofo: Journal of Transatlantic Studies on community engagement in the African Diaspora. 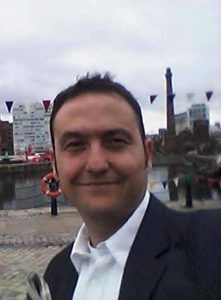 I have served as a book and article reviewer for Hispanic American Historical Review, Latin American Research Review, Atlantic Studies, and other journals in the field. On October 15, 2018, UNC Press will publish my first research monograph: The People of the River: Nature and Identity in Black Amazonia, 1835-1945, a book completed during a post-doc at Yale University’s Gilder-Lehrman Center for the Study of Slavery, Resistance, and Abolition. My current research is a comparative study of environmental health and struggles over freedom and identity in Matanzas (Cuba) and Savannah (Georgia, U.S.). I am engaged in a permanent dialogue and exchange of ideas with scholars and activists from the U.S., Brazil, Cuba, and Europe, and enjoy surprising the students with the unexpected features of race relations in Latin America. African Diaspora in Latin America (slavery; maroons; post-emancipation period; oral history; death and disease); History of Brazil, Amazonia, and Cuba (19th and 20th century); Environmental Studies (commodity history, labor and environment); Atlantic World History (slavery, revolution). 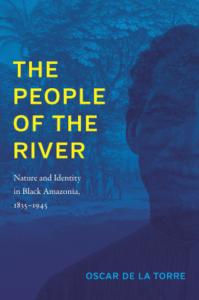 The People of the River: Identity and Environment in Black Amazonia, 1835-1945. Chapel Hill, NC: University of North Carolina Press, 2018. With Laviña, Javier. “La Post-Emancipación en el Mundo Atlántico: Síntesis y Nuevas Perspectivas de Análisis,” Boletín Americanista (forthcoming). With Ogundiran, Akinwumi. “Community Engagement and Citizen Empowerment in Africa and the African Diaspora,” Ofo: Journal of Transatlantic Studies, nos. 1 & 2 (June/December 2013). “Places of Memory and Time Slips: Narratives of the ‘Good Master’ and the History of Brazilian Slavery,” Oral History Review 44, Issue 2, September 2017, 237–259. “Los Ambiguos Efectos de la Fluidez y la Contingencia: La Post-emancipación en el Brasil Frontera (Amazonía, 1888-1950)” in “La Postemancipación en las Américas: Síntesis y Nuevas Perspectivas de Análisis”, ed. Oscar de la Torre and Javier Laviña, Boletín Americanista 68 (2014), 101-120. ““Are They Really Quilombos?” Black Peasants, Politics, and the Meaning of Quilombo in Present-day Brazil,” Ofo: Journal of Trans-Atlantic Studies 3, nos. 1 & 2 (June/December 2013), 101-122. ““The Land is Ours and We Are Free to Do All that We Want”: Quilombos and Black Protest in Amazonia, Brazil, 1917-1929,” The Latin Americanist 56, no. 4 (2012), 33-56. “O Carimbó e a História Social da Grande Vigia, Pará, 1900-1950,” Revista Estudos Amazônicos IV, no. 2 (Belém, Brazil), 2010, 113-150. “Latinoamericanos en la Zona Bastarda: influencia latinoamericana en la cultura y la política barcelonesas, 1980-2005”, in Osamayor 17 [Pittsburgh-PA], 2006, pp. 81-95. With Paulo Cordeiro, “Mundos Sociais em Movimento: As Letras do Carimbó na Vigia,” in Paulo Cordeiro, O Carimbó na Vigia (Vigia – PA, Brazil: Edição do Autor, 2010), 128-158. Book review of Matthias Röhrig Assunção, De caboclos a bem-te-vis. Formação do campesinato numa sociedade escravista: Maranhão 1800-1850 (São Paulo: Annablume, 2015). Bulletin of Latin American Research 37, no. 3 (2018), 370-372. “Crossroads and Transformations: New Scholarship on Abolition and the Post-Emancipation Period in Brazil,” bibliographic essay about Celso Castilho, Slave Emancipation and Transformations in Brazilian Political Citizenship (University of Pittsburgh Press, 2016), and Walter Fraga, Crossroads of Freedom: Slaves and Freed People in Bahia, Brazil, 1870-1910 (Duke University Press, 2016), Estudios Interdisciplinarios de América Latina y el Caribe 28, no.2 (2017), 136-138.
Review of Peter M. Beattie, Punishment in Paradise: Race, Slavery, Human Rights, and a Nineteenth-Century Brazilian Penal Colony (Durham, NC: Duke University Press, 2015), Canadian Journal of History 52, no. 1 (2017), 168-170.
Review of Camilia Cowling, Conceiving Freedom: Women of Color, Gender, and the Abolition of Slavery in Havana and Rio de Janeiro (Chapel Hill: UNC Press, 2013), Afro-Ásia 51 (2016), 283-286.
Review of Tâmis Parron, A Política da Escravidão no Império do Brasil, 1826-1865 (Rio de Janeiro: Civilização Brasileira, 2011), Hispanic American Historical Review 93 (2013), 125-127.
Review of Timothy James Lockley, Maroon Communities in South Carolina: A Documentary Record (Columbia, SC: University of South Carolina Press, 2009). Florida Historical Quarterly 88, no.2 (2009), 280-282.
Review of James P. Woodward, A Place in Politics: São Paulo, Brazil, from Seigneurial Republicanism to Regionalist Revolt (Durham and London: Duke University Press, 2009). Chronicle of Historical Studies Vol. 6 (Winter 2008-2009), 260-263. George Reid Andrews, Afro-Latinoamérica, 1800-2000, Madrid: Iberoamericana Vervuert, 2007. English to Spanish. Thrown in the Cesspool: Godless Burials, Death, and Religion in Amazonian Plantations, 1780s-1888. Article manuscript. Target publication: Slavery & Abolition.